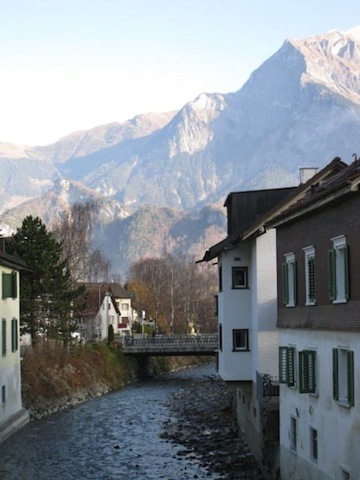 If you’ve always wanted to go to a luxury spa in Switzerland, you crave an Alpine view and you think hot springs spas are the very best kind of spas there are, the Swiss spa town of Bad Ragaz should be high on your list. To help you get to know Bad Ragaz better, here are six fun and quirky facts about one of Switzerland’s top spas. (This isn’t a fun fact, but just so you know, Grand Resort Bad Ragaz is located between Zurich and the swanky ski town of St Moritz.) But first, a wee bit of info. 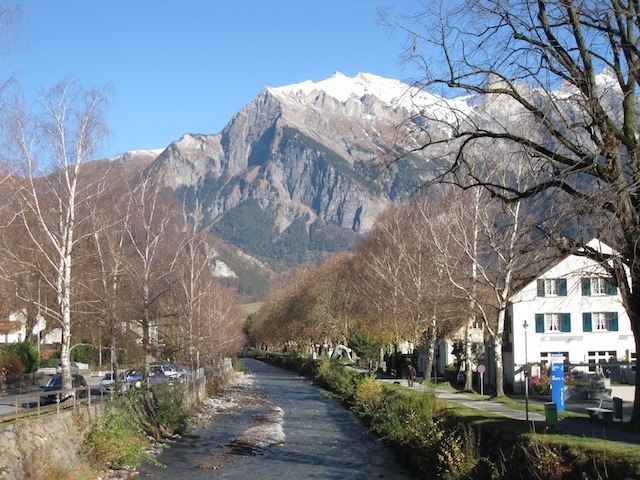 Bad Ragaz is a European spa town situated in the St. Gallen Rhine Valley at the foot of the Pizol Mountain in the east of Switzerland, and is easily accessible by train from Zurich. 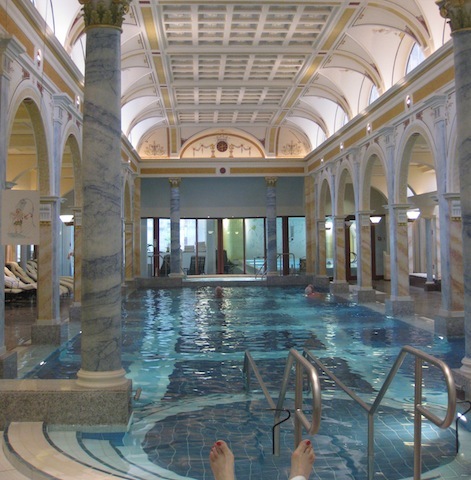 The spa resort has separate thermal pools for guests of the Grand Resort Bad Ragaz and for day visitors. Both are gorgeous. The thermal water (37C) is sourced from the strange and not-so-accessible Tamina Gorge, which you’ll read about in Fun Fact #3. But enough with the tourist info, let’s get to our Fun Facts. Plus one exciting bonus fact about La Prairie. I’m sure you’re sitting on the edge of your chair! It’s not just thermal pools and caviar facials – although those are special indeed. You can have a face lift in the discreet plastic surgery department of Grand Resort Bad Ragaz, and when you come back everyone will think you just had a really refreshing holiday. If you’re into extreme physical fitness (unlike me) you may want to check out the Bad Ragaz Department of Sports Medicine, where you can learn how to boost your fitness and endurance during your stay. It’s an accredited Swiss Olympic Medical Center and the head of the dept, Dr Christian Schlegel, was the Chief Medical Officer for the Swiss Olympic team at the Vancouver Olympics. 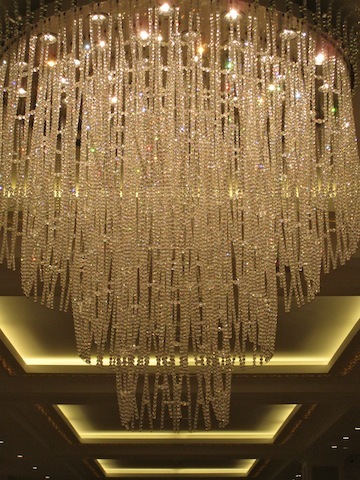 It just goes to prove that all that glitters is not gold – sometimes it’s crystal. Once she’s had a La Prairie Gold Facial, like I did (I know, I know – I’m spoiled, though no one’s mistress) you can take her (or him) shopping. I saw a ski jacket on sale in one of the hotel boutiques for $7,900. Or maybe a pair of fur boots? 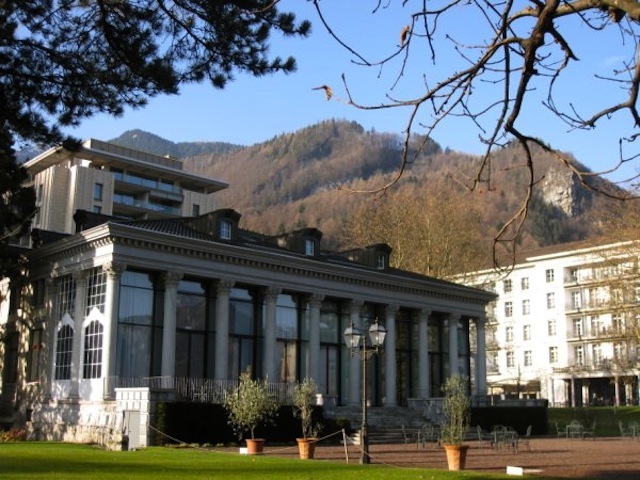 The luxury spa resort of Bad Ragaz has come a long way. It was back in 1242 that monks discovered the original curative hot springs that gush out of the nearby Tamina Gorge. 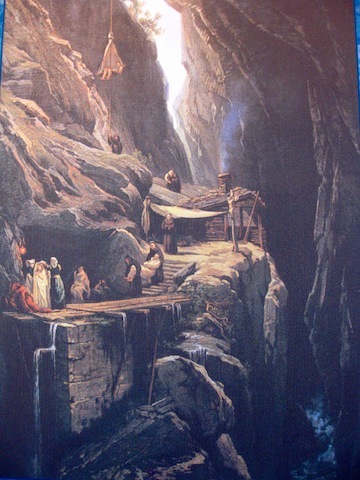 In the 14th century, when people started using the springs for healing their ills, they had to be precariously lowered into the gorge on ropes, where they would stay in chairs for days until they developed open sores on their body – a sign (they believed) that it was working. There are three connected hotels in the Bad Ragaz hotel spa complex and they all have separate personalities. The hippest and the newest – as opposed to more traditional and elegant – is the Grand Hotel Quellenhof & Spa Suites where you get your own thermal (hot spring) water piped into your private chromotherapy tub. What is a chromotherapy tub, you ask? 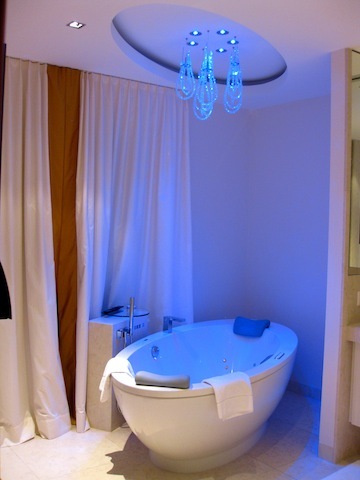 It’s a tub with coloured lights that change as you soak giving you your own private light show – very soothing. And entertaining. And healing – colour affects mood. Here’s your bonus fun fact: La Prairie products are not related to the La Prairie Clinic. At least not anymore. Who knew? At least I didn’t until I had my La Prairie Gold Facial. Clinique La Prairie, the venerable Titan of Swiss wellness retreats and the oh-so-high-end La Prairie products are completely separate companies. Historically they were one but the product line was later sold. Just FYI: the products that original Clinique La Prairie uses are called Swiss Perfection- and use the stem cells of the Iris as their magical ingredient. So here you have it. 6, almost 7, reasons to go to one of Switzerland’s most luxurious spas, Grand Resort Bad Ragaz. I want to jump in that pool! That has to be on my bucket list. Great post! I don’t blame you for not wanting to leave your lounge chair at Bad Ragaz – I wish the Swiss would come to Guatemala and do some work on the agues thermals here. Most of the hot springs are more akin to what you describe the monks did in the 14th century – hanging from a cliff over some rocks. Nice! I might have to look into it further. I’ve been to Spa’s around Prague. They make a strong impression for sure! 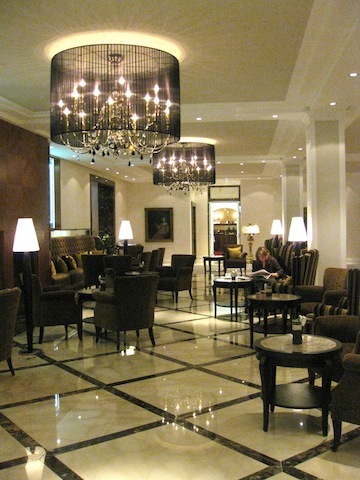 Dee, I’ve been to Bad Ragaz and I loved it. I went for a short visit and ended up staying 5 days. It was that good. I’m imagining that you haven’t been here. Not a big fan of the face lift idea. Always something a bit weird in these high end places. When will the world get back to reality! Certainly looks beautiful though!